Pair of Yellow-crowned Night-Herons at potential nesting site. Here we go. 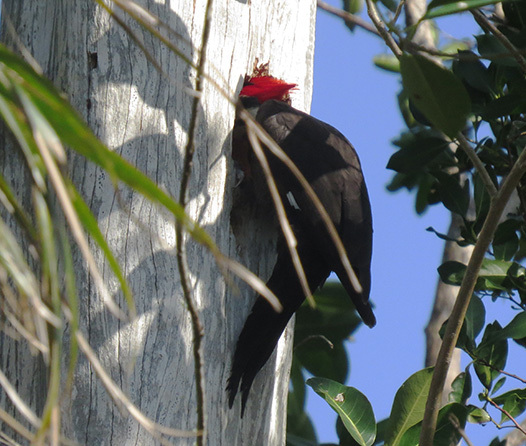 It's breeding time down here in Sanibel, FL. 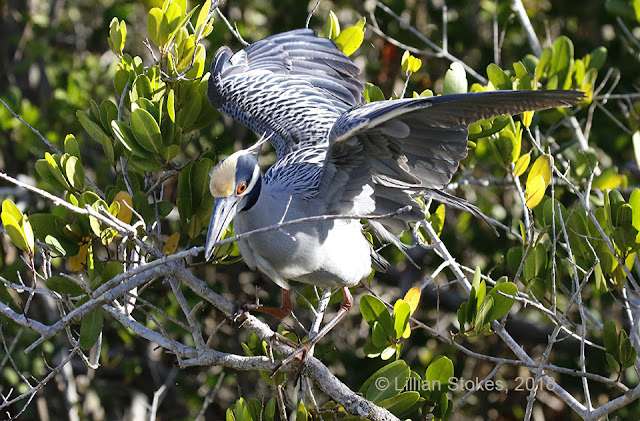 Much nest building activity is going on for Yellow-crowned Night-Herons and many other birds. 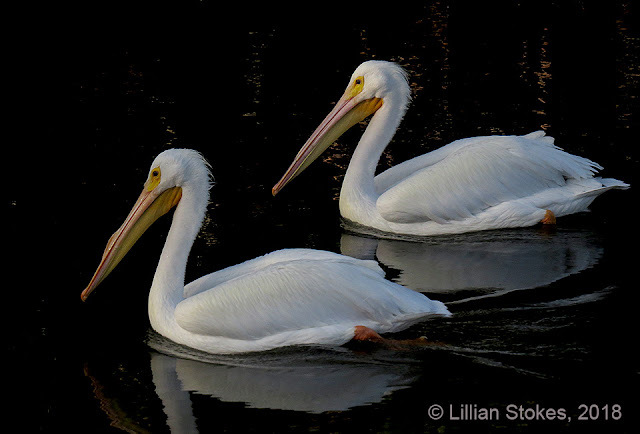 This pair was hanging out in a potential nesting site. Sticks were being brought in and placed although some of the sticks fell off the branch! Herons have elaborate courtship activities this time of year. How To Use Binoculars, Best Tips! 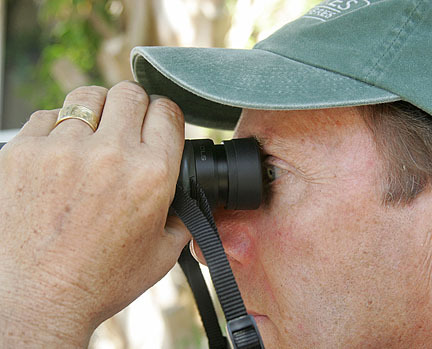 Are you confused about how to use your binoculars, or have not been using them correctly? 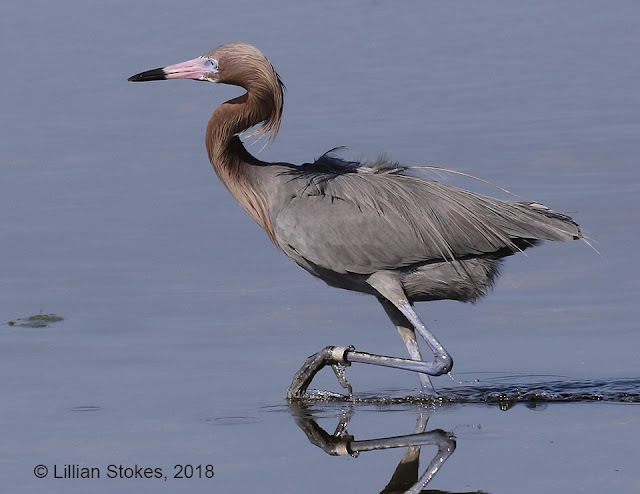 Here are some tips to help you learn how to get the most out of your binos so you can enjoy those beautiful birds more! If you are wearing eyeglasses turn the eyecups DOWN. If you are not wearing eyeglasses, turn the eyecups to the UP position. Many binoculars, especially higher end models, have eyecups that can be adjusted in several positions. Only when you have the eyecups in the right position for you, will you clearly see the whole field of view. 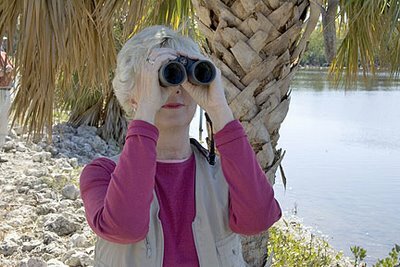 If you are sharing binoculars among several people, make sure each person, in turn, adjusts the eyecups in the right position for their eyes when they look through the binoculars. The distance behind the eyepiece where you can see the whole field of view is called the binocular’s eye relief. If your eye is farther back from that spot (which can happen when you wear eyeglasses), you will not see the whole field of view. By turning the eyecups down you can compensate for wearing eyeglasses and move your eye closer to that magic spot. Binocular eye relief is indicated in millimeters. Look for binoculars that have an eye relief of at least 15 or 16 mm. If you wear glasses, keep them on when using binoculars, even if you wear progressive lenses or bifocals. With good binoculars, you should be able to see through them perfectly fine. Besides, if you’re not wearing your glasses how will you find the birds so you can then view them through your binos? If you are having trouble with this, consider upgrading your binos. Move the binocular barrels closer together, or farther apart depending on the distance between your eyes. On binoculars you will see numbers such as 8 x 42, 10 x 42, 7 x 35, 12x 50, 8 x 25, etc. The first number indicates the power of the binocular. So 8 power binoculars magnify the object you are looking at 8 times. The second number, such as 42, 35, 50, refers to the measurement, in millimeters, of the diameter of the lens (called the objective lens) at the far end of your binocular. May seem a little complicated, but what it means is the higher this number, the more light the binocular will let in, in general. A binocular with a 42 mm objective lens, will let in more light than one with a 25 mm objective lens. 6. Field of ViewIn the binocular’s specifications the width of the field of view is stated as something like 383 ft. at 1000 yds. 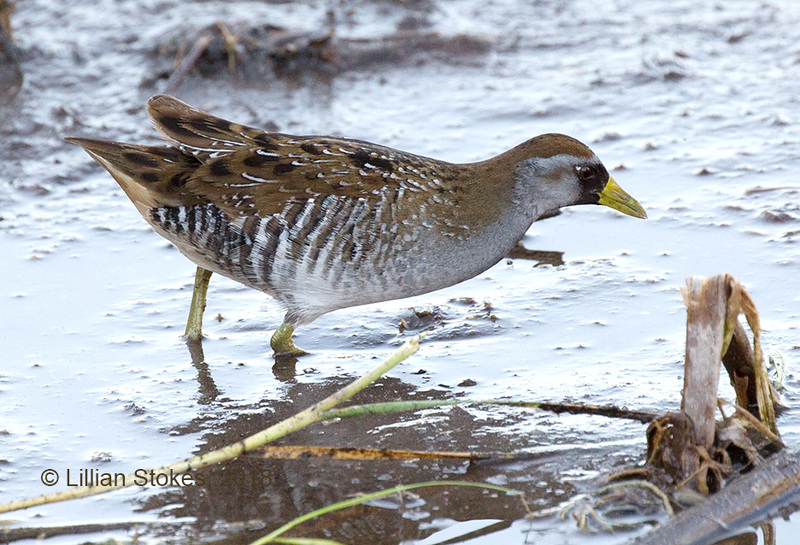 A wide field of view makes it easier to spot and follow birds, especially for beginners. Sometimes it is expressed as an angle such as 7.3 degrees. Many 8 power binoculars have fields of view in the mid 300s to over 400 range. 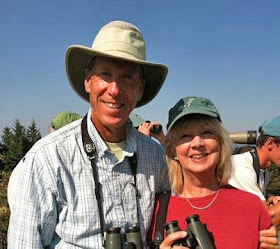 Here we are discussing binoculars for birding. 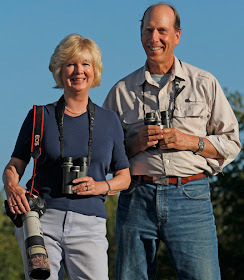 In our opinion, in most cases, the best binoculars for all purpose birding are full size binoculars that are 8 x 42 or 8 x 40. These provide a good amount of magnification and bright images. Binoculars that are more powerful magnify hand shake so they are more difficult to hold still. This is especially true if you have been birding all day and your arms are fatigued. They generally also have a more narrow field of view and shallow depth of field. 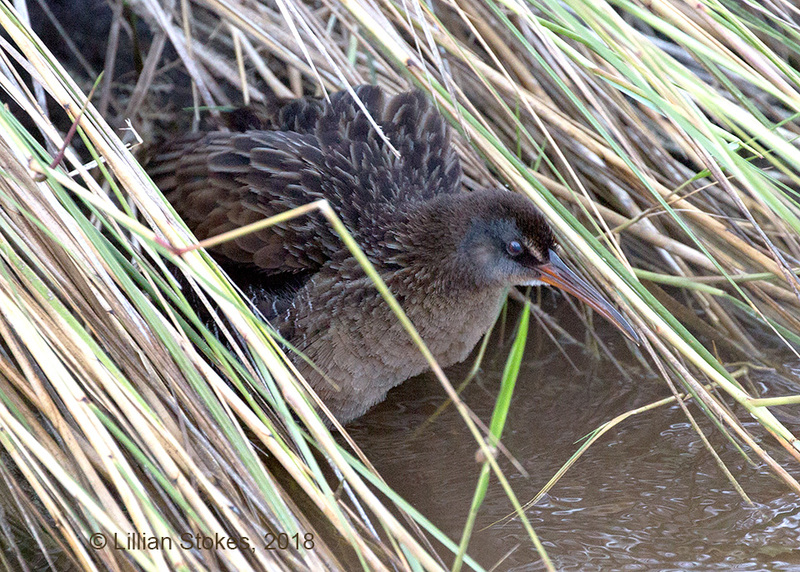 It makes it a little more difficult to find the bird and have a steady image. 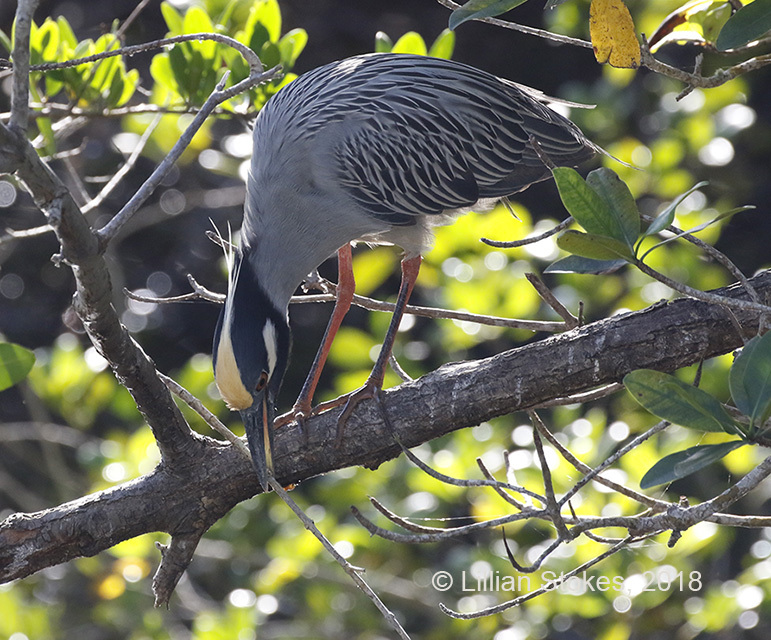 Having said that, there are many people, ourselves included, who are experienced enough at spotting birds and handling binoculars to deal with these issues and happily use 10 power binoculars. 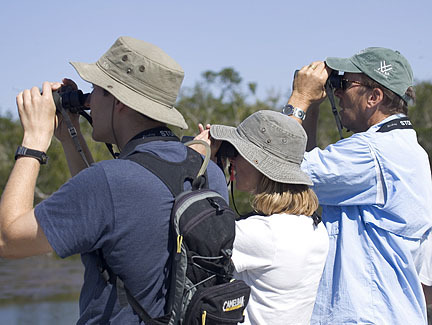 People may want 10 power binoculars if they are in situations where they are always viewing birds at a distance. 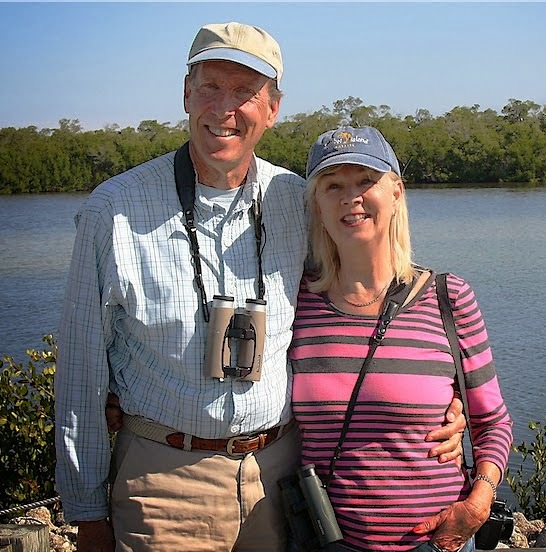 We often use 10 power binoculars when at places such as lakes, marshes and the ocean, where we know the birds will be farther away. Then the 10 power is a big plus. What about compact binoculars? They may offer good magnification such as 8 power, but usually have a lower number for the objective lens, such as 25 or 26, and, in general, do not let in as much light as full size models. Modern advances and internal coatings have improved the light gathering of compact models. The lightweight and small size of compacts make them extremely attractive for some people. Ironically, because of their lightness, hand tremor can be magnified. Compacts can be great for many situations such as, hiking, backpacking, kayaking, canoeing, airline travel, carrying in purse or pocket, or you just want a pair on your kitchen table to watch feeder birds. They can be good for kids because of their small size. In general though, for all day, all around birding, full size are preferred. Another way to deal with binocular weight is to use a shoulder harness which takes the weight off your neck and redistributes it. 6. What’s this about a diopter adjustment? If you have normal vision, or properly corrected vision with eyeglasses, you probably don’t need to adjust the diopter. If vision in one of your eyes is different than the other, you may need to adjust the diopter. The dipoter is a ring on the right barrel of the binocular below the eyepiece. Here’s how to do it. - Close your right eye. While looking through only your left eye, pick a distant object and focus the binoculars on it. - Close your left eye and (don’t turn the focus knob) while looking at the same object, turn the diopter ring on the binocular until the object is in sharp focus. - Now you’re done. 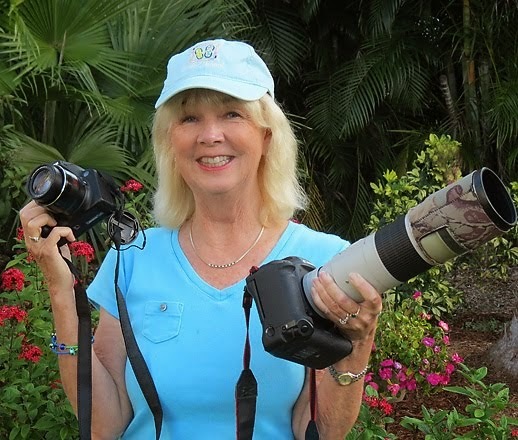 Leave the diopter ring in that position and resume birding, looking through both eyes and using the center knob to focus. 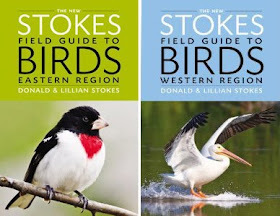 Don't forget your The New Stokes Field Guide to Birds, eastern or western region, so you can look up what you see! 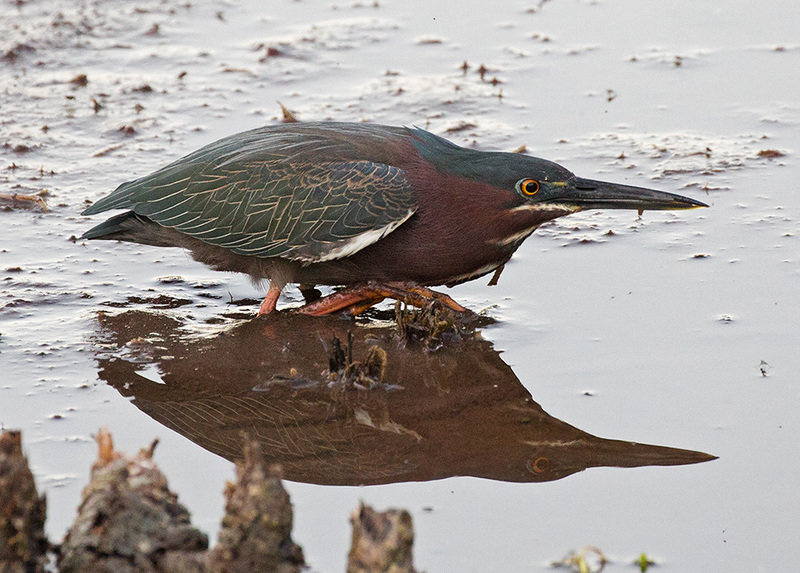 This Green Heron was watching and waiting for a fishing opportunity recently at J.N. Ding Darling NWR. This could be a migrant that will be returning to your area in spring! More rail happenings at Bailey Tract, Sanibel. 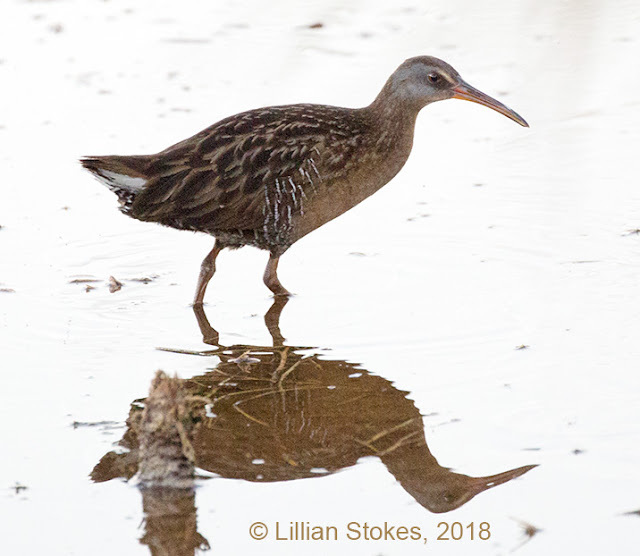 Last night, at dusk, in the drying up pond, we waited for the rails to appear. 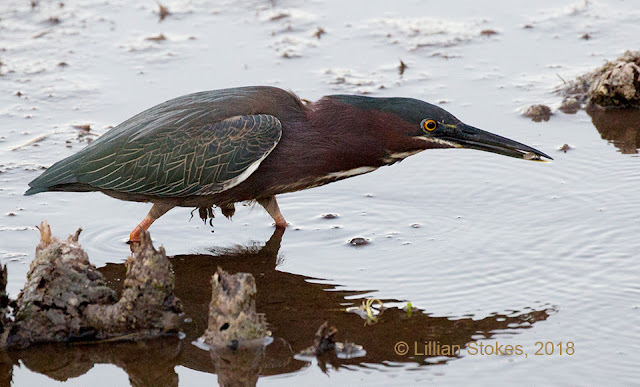 First came two Green Herons, actively hunting little fish, while the Clapper hid in the tall grass and leisurely stretched. The Sora came out and darted around. Then finally the Clapper fully emerged, just as it got too dark for photos. Glad I went last night because tonight the rails did not emerge and the water level had dropped substantially. 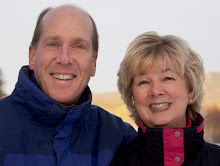 Perhaps they will move to a different area of the Bailey Tract. 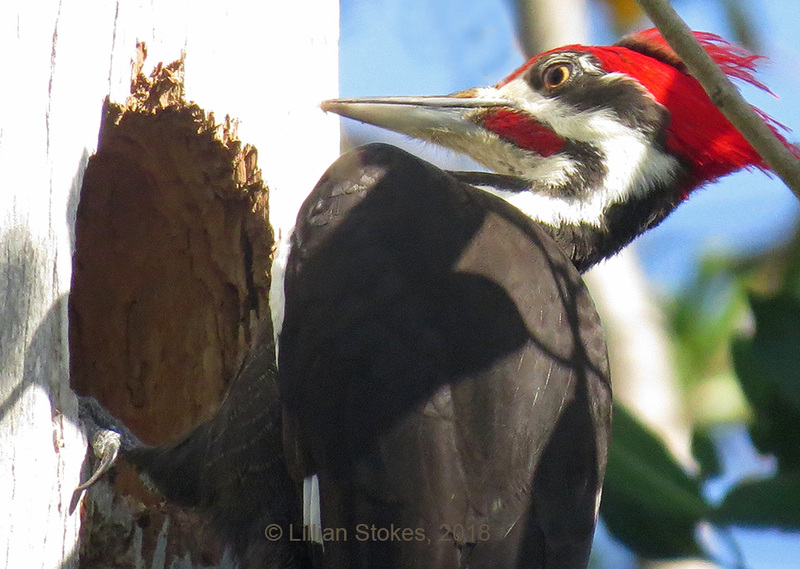 This Pileated Woodpecker, male, is excavating a nesting cavity now high up in a dead tree stub. 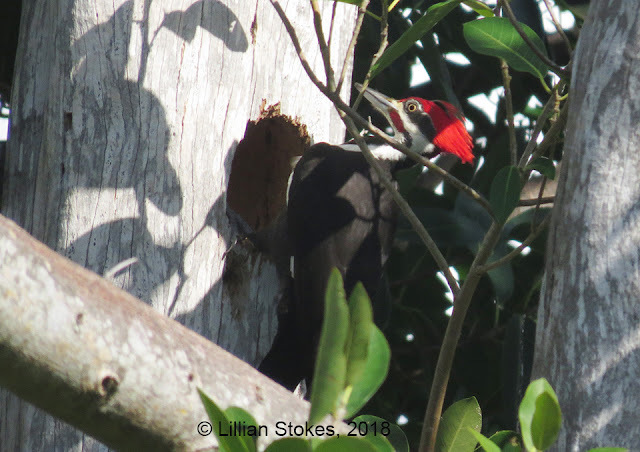 He was being secretive, understandably so, as he does not want other cavity nesting birds, or predators to find the location. 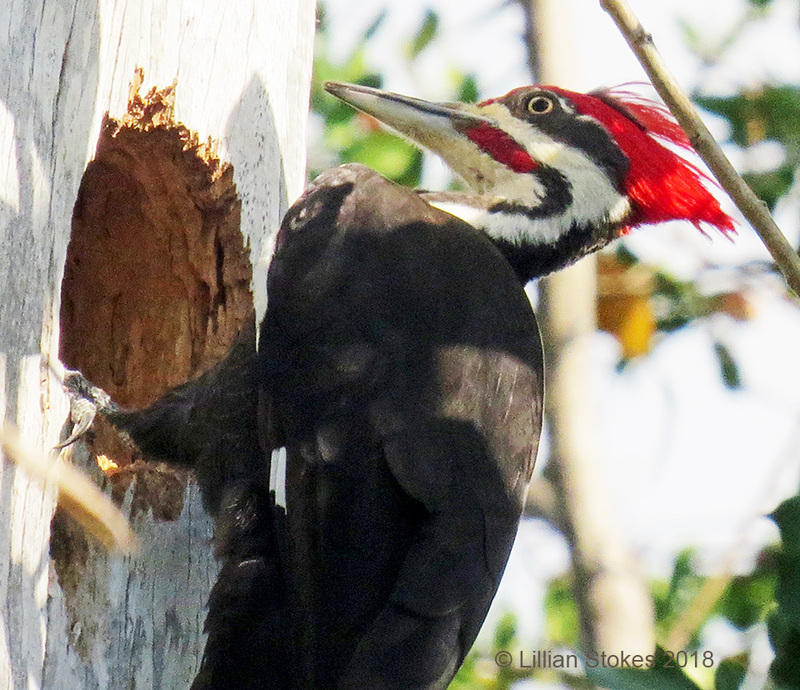 He pecked at the interior wood for a while, then the female came and took a turn. Pileated Woodpeckers are common here on Sanibel Island, FL, but in NH where we are from, it is a rare treat to see one. For at least two weeks or longer the Scaup that have been in Ding Darling are Lesser Scaup. There have been 4-6 birds. Mostly they are seen by the tower, one has also been seen on pond 2 a few days ago. They are frequently misidentified as Greater Scaup. We have been studying them carefully and over time. Here’s a list of clues and photos as to why they are Lesser Scaup, not Greater Scaup. 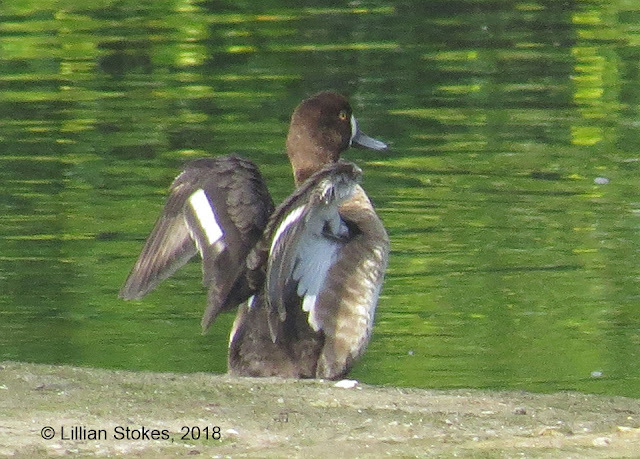 There are also Lesser Scaup at the Pond Apple ponds and the Dunes golf course. Head shape is touted as one of the biggest clues, with Lesser’s head having a steep forehead rounding off to a high, short, somewhat peaked crown with a slight “corner” visible at the rear. 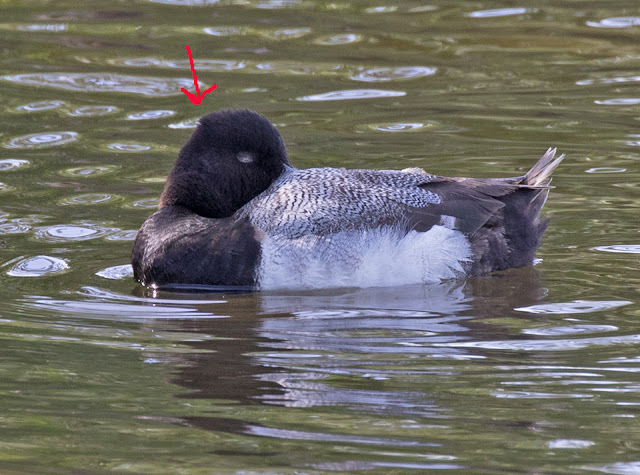 In general head height is greater than length (the opposite in Greater Scaup), creating a vertical appearance to head. 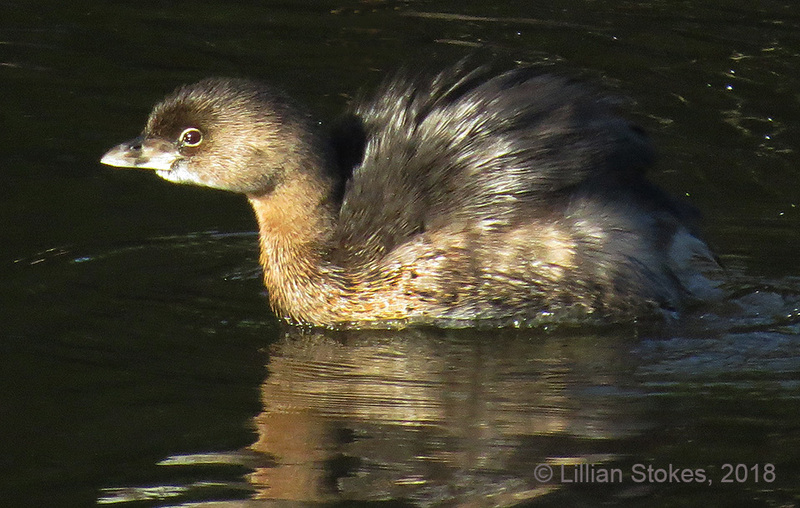 Long crown feathers give the Lesser’s head the peak at rear. On Greater the head has a steep forehead which rounds out into a fairly long crown and head has horizontal, sometimes slightly rectangular appearance. 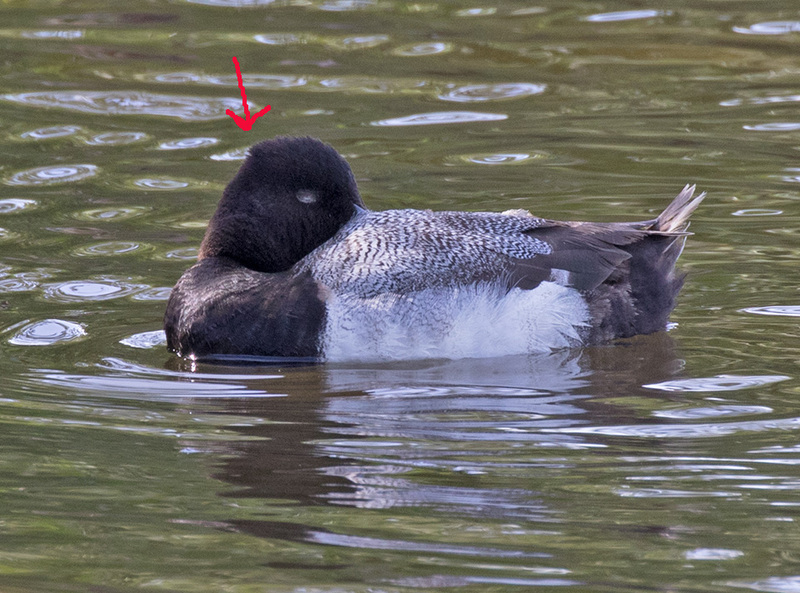 In general, head length is greater than height (the opposite in Lesser Scaup). 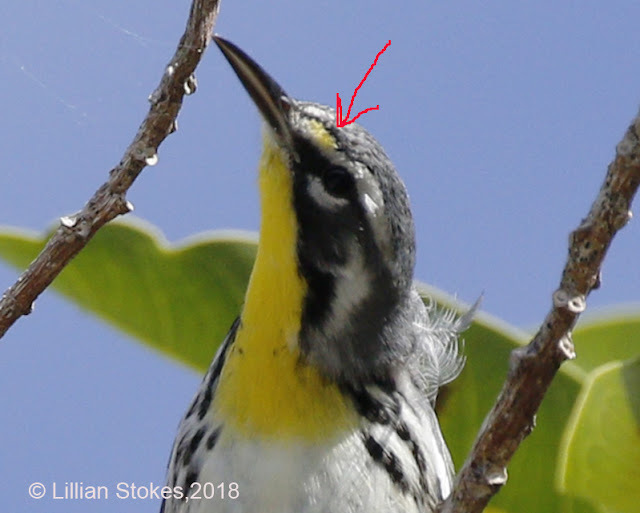 From head-on Greater’s head is broader cheeked: Lesser’s is more even width throughout although this is sometimes hard to judge. Lesser has a thin neck, Greater’s is thicker. HOWEVER, head shape varies considerably depending on what the birds are doing, such as feeding, sleeping, alert, etc.. When actively feeding head shape differences are negligible, the head of Lesser is sleeked back, peak not visible. 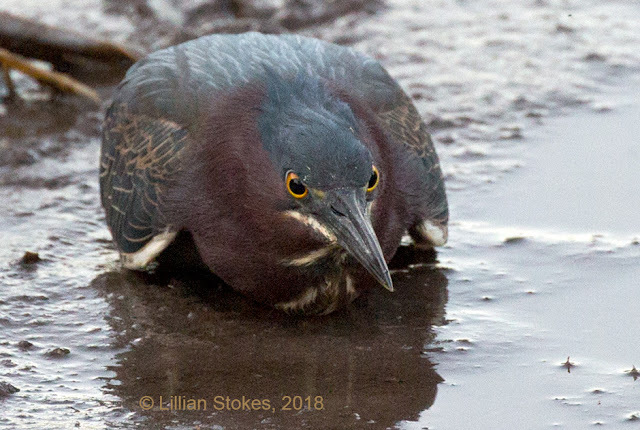 Much of the misidentification of these Ding birds is because the observer has been relying on head shape alone, and as stated, that can vary considerably. 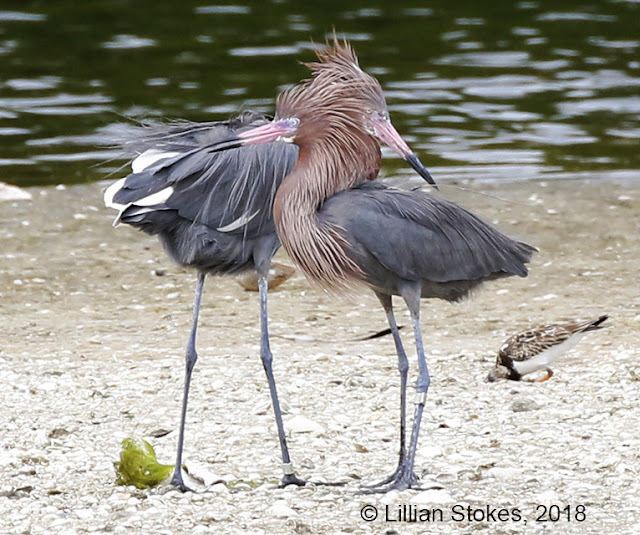 You need multiple clues to ID these birds. 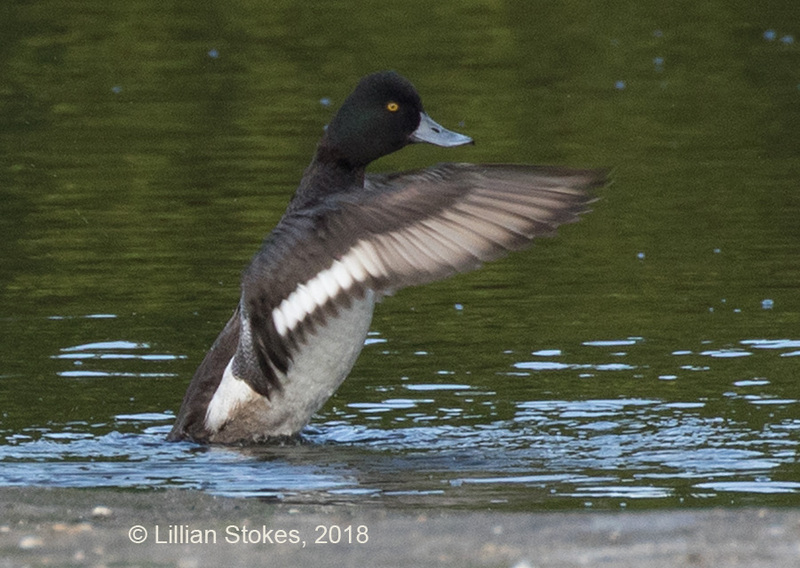 On Lesser Scaup, the broadly white secondaries, create a white stripe along inner wing, on Greater Scaup the white extends onto the inner primary feathers making the stripe longer. This can be an excellent clue. 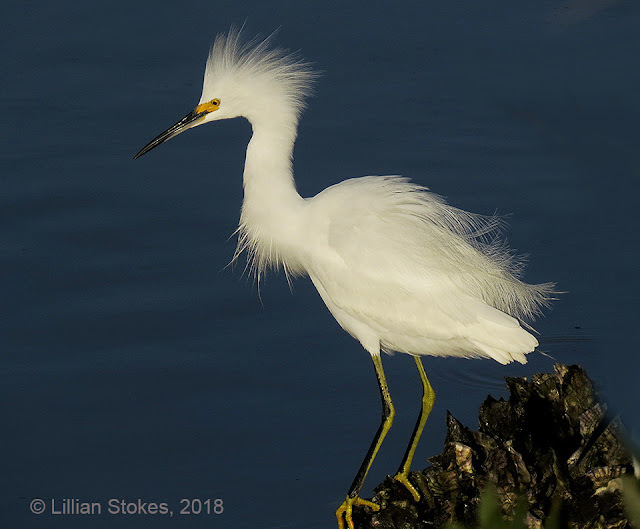 Note the wing photos of the Ding birds and you can see that the bright white occurs on the secondary feathers and then stops and does not extend along the primary feathers as a continuous and longer bright white stripe. Beware looking at photos of the Ding birds where the bright sunshine reflects too much off the wing, it can make the wing look like it has a long white stripe. 3. Head and Body Color. 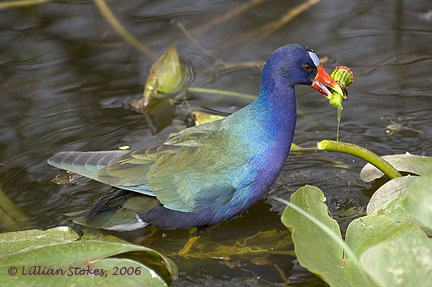 The head of male Lesser in good light can have purplish to greenish gloss. In dull light or back lit, the head looks dark. The sides are washed with pale gray. In Greater Scaup the male’s head, in good light, has greenish gloss. Greater’s sides are mostly whitish with underpart vemiculation finer than on Lesser. 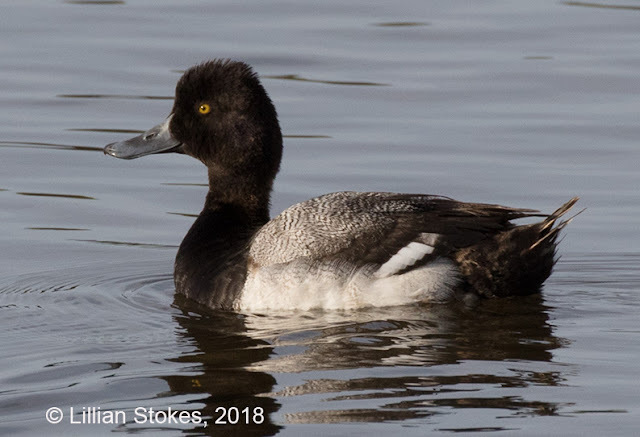 Again beware photos that blow out the whites which can make the Ding bird males look like they have cleaner whitish sides, more like Greater Scaup. 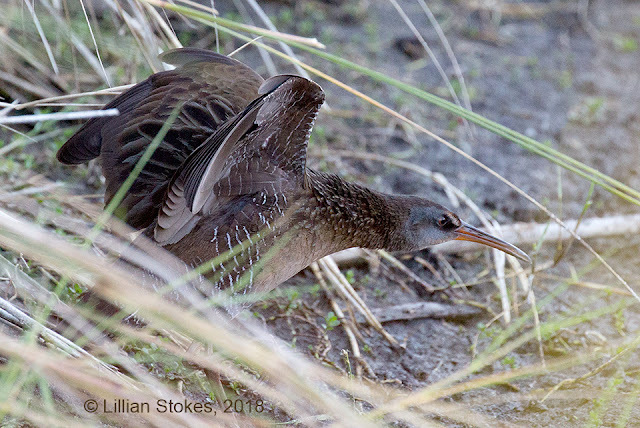 Females of both species similar, have brown heads, gray-brown back and sides and white oval patch at base of bill. Lesser Scaup can appear shorter-bodied and often rides higher on water than Greater. Greater is a slightly bigger bird (18 inches) than Lesser (17 inches) although this may be hard to judge. The bill of Lesser is bluish and about 2/3 length of head, black nail at tip. Greater’s similar bill is slightly longer, about 3/4 length of head with bill broader and flaring toward tip and black on nail can bleed down off nail, hard to see at a distance. So to ID the birds in Ding, look closely, over time at more than one clue. 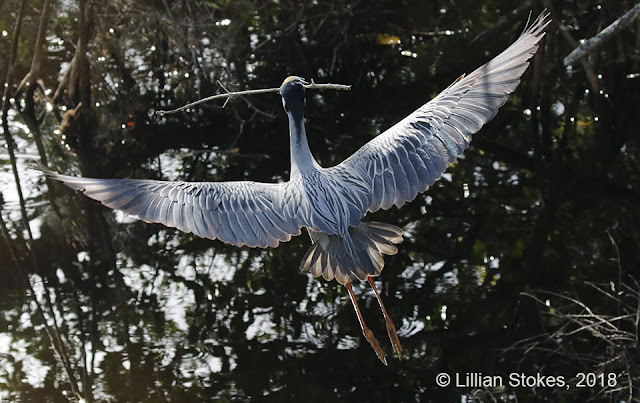 The clues for head and wings are some of the most helpful. Lesser Scaup are the species most commonly seen here in winter, Greater Scaup would be more rare. For more detailed clues consult a good field guide or specialty guide. 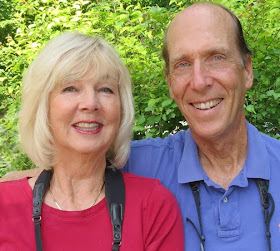 I had the pleasure today of leading, with Don, a fundraising the annual "Stokes Birding and Photography Stokes Tour" for J.N. Ding Darling National Wildlife Refuge. On Fridays the refuge is always closed, so when we took two tram buses of participants into the refuge we had the place to ourselves! 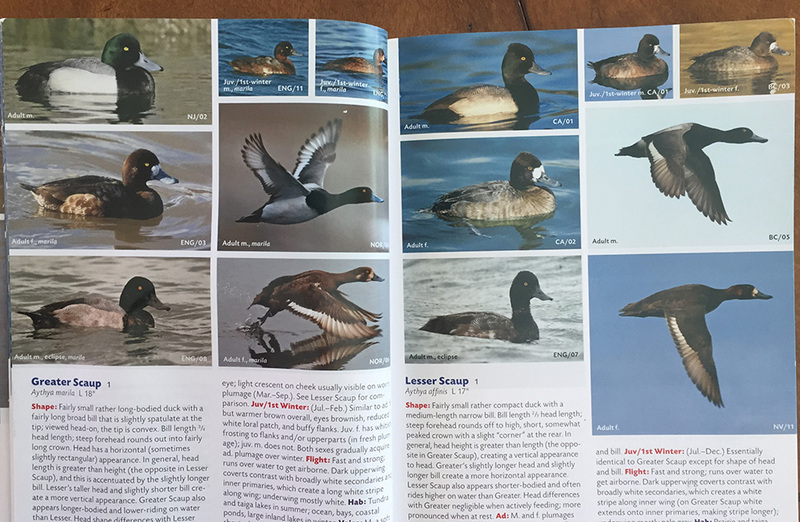 Don taught bird identification and I taught bird photography. 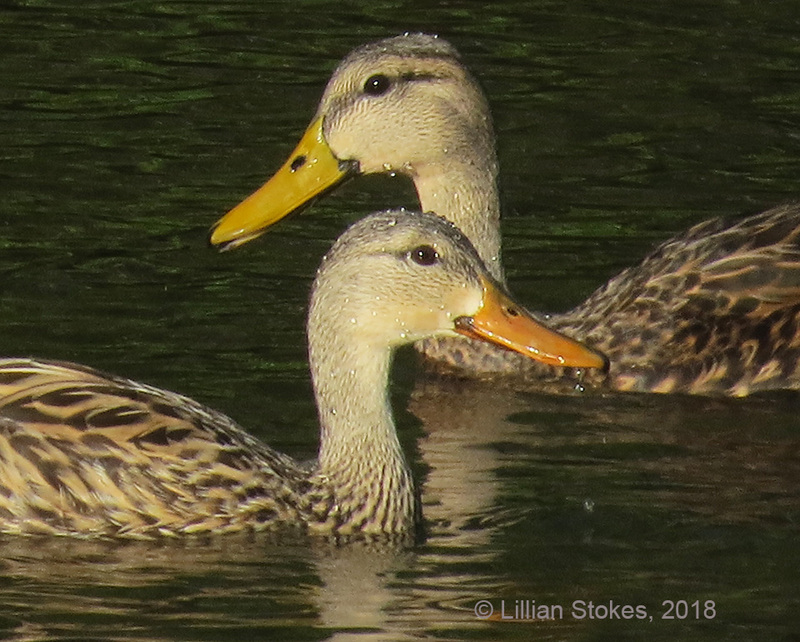 The birds were most cooperative and on the second pond we had a number of species come in for close photo ops, including the birds above that I photographed with my Canon SX 50. Lighting conditions are always a challenge in the Florida sun. The bright light can product photos of light birds with blown out highlights so photographers need to learn how to compensate for that. My participants had all levels of skill and cameras ranging from cell phones to expensive DSLR high end cameras and lenses. 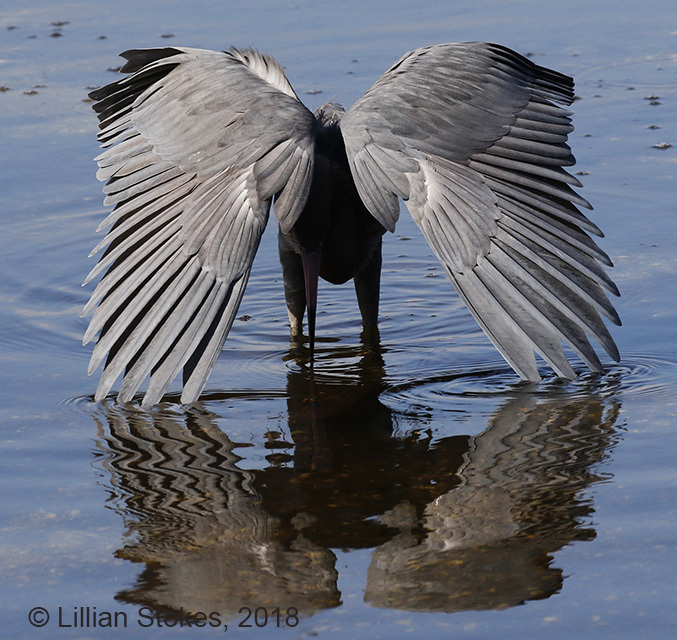 We covered the elements of exposure, how to know what to photo, how to move fast and anticipate the birds actions, bird photography ethics and much more. It was a fun time! Thanks all! 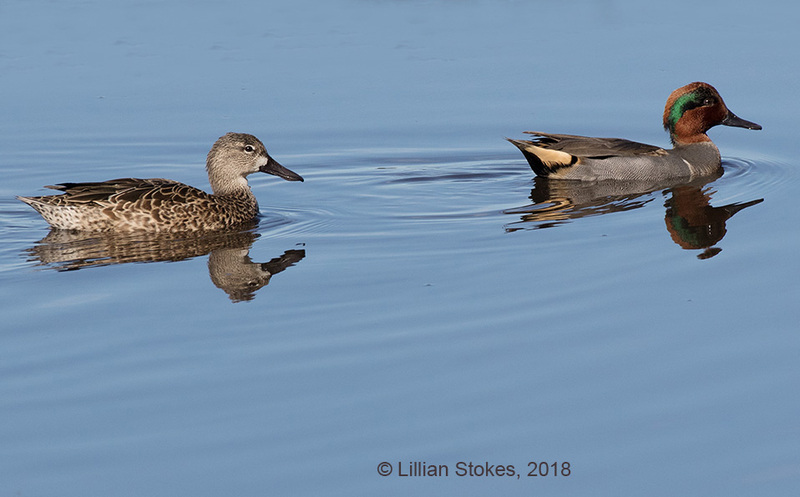 Beautiful Green-winged Teal recently at J.N. Ding Darling NWR, Sanbel, FL. Male on right, female left. Female ducks often have more camouflaged coloring since they are the ones that have to sit on the nest. 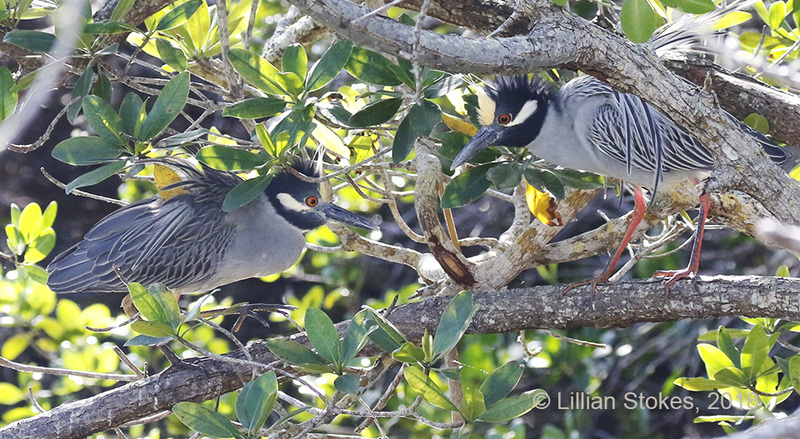 Beautiful Yellow-throated Warblers Wintering in FL! 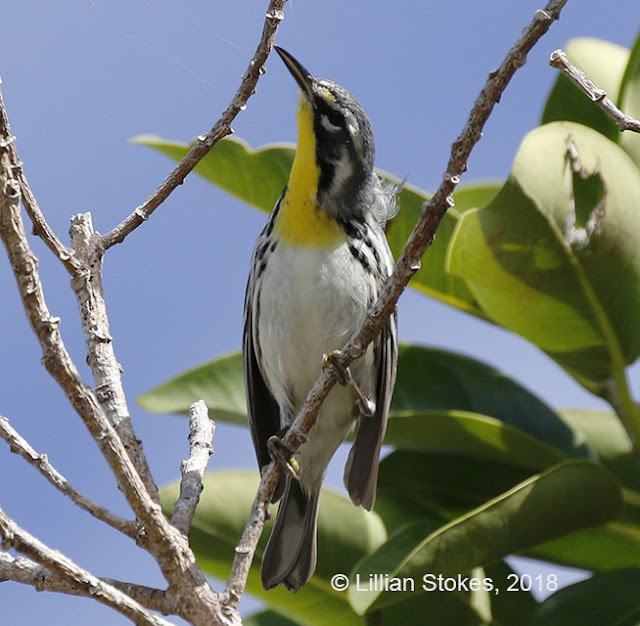 Yellow-throated Warblers on Sanibel, FL. 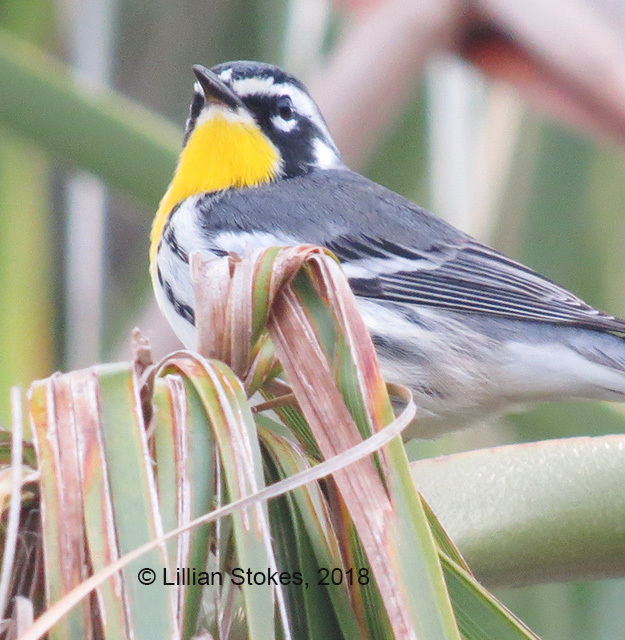 These are beautiful overwintering warblers in south FL that mostly breed in the eastern lower two-thirds of the country. 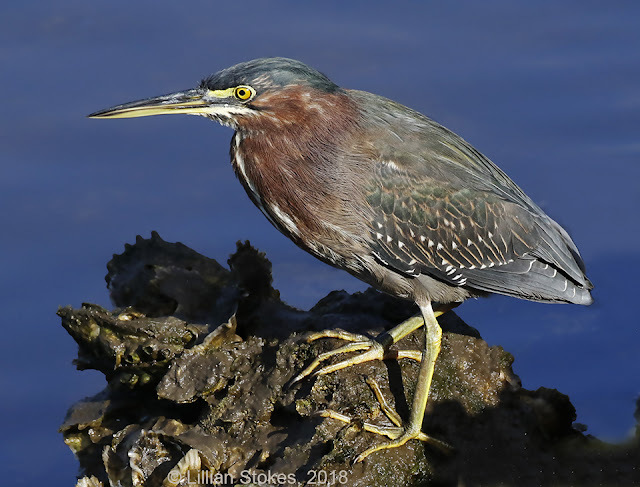 I have photographed several this year on Sanibel. The interesting thing is that there are two subspecies. One subspecies, (Setophaga donimica dominica) has yellow in the supraloral area and is found from s.e. NJ-s.FL. The other subspecies (Setophaga dominica albilora) which I photographed in our yard, has a usually all white supraloral area and it is found in the rest of its range to west. Subspecies can tell you interesting things about a bird and it's fun to look for subspecies. 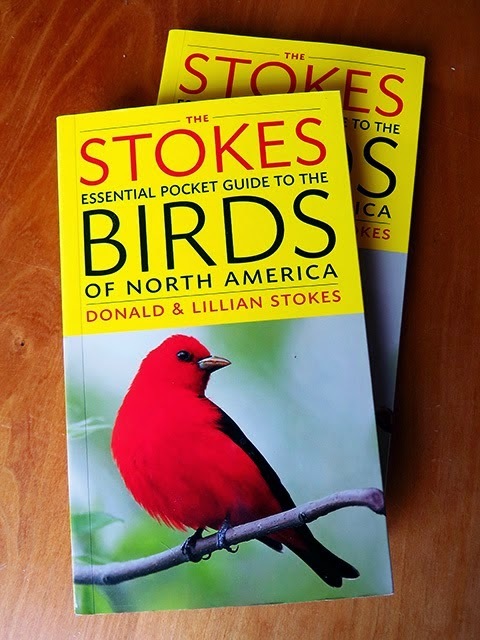 (Our Stokes Field Guide to Birds of North America, Eastern or Western Region has all the subspecies information).